THOMAS & FARR ISURANCE AGENCY, INC.
Joe Farr, a native of Monroe, Louisiana, was educated in the Monroe City School System and graduated from the University of Louisiana at Monroe (ULM) in 1975 with a degree in business. 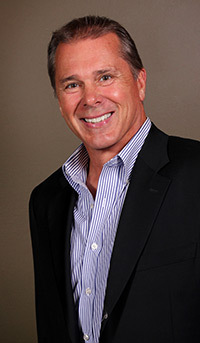 He began his career in insurance with his father at Rodriguez-Farr Insurance Agency, which he later purchased in 1981. He acquired another agency in Aril of 1983 and merged with Jerry Thomas in July 1983 to form the Thomas & Farr Agency, the largest independent insurance agency in northeast Louisiana. Joe has served on several insurance company advisory boards, including CNA, Commercial Union, St Paul, Americas, LWCC, Hanover, and as Chairman of the United Fire Group panel. He is past chairman of the ULM Foundation Board and current board member, former member of the ULM Athletic Scholarship Board, Chairman of the Monroe Housing Authority Board, present member of the Monroe Chamber of Commerce and past board member, past chairman of United Way, and past President of the Louisiana Purchase Council of the Boy Scouts. In 2013, Joe received the highest honor awarded by the Monroe Chamber of Commerce, the prestigious Rambin-Silverstein Memorial Civic Award. This award is given each year to an individual who has demonstrated outstanding achievement and leadership service through unselfish dedication for the betterment of the greater community. Joe is an enthusiastic land owner with acreage in Morehouse Parish, having vast experience in recreational and hunting property management. As an ardent conservationist, he engages frequently with local and state biologists, wildlife and conservation authorities for proper and responsible land and wildlife preservation. An avid outdoorsman, Joe is also a lifetime member of the National Rifle Association and life member of Ducks Unlimited. He is a member of Covenant Presbyterian Church in Monroe. He is married to Drew Brister and has three children, Shonda, Patrick, and Peyton. He is proud grandfather to Ava Drew McIntyre and Elton Joseph McIntyre.